I noticed you have BEPU physics in the repo at https://github.com/RossNordby/bepuphysics1 in the personal namespace github/RossNordby. It would probably be cleaner / more professional / etc. to create an organization namespace, github/BEPUEntertainment or something, to put the main released repo of BEPU 1 and when it's ready and working, BEPU 2 as well. 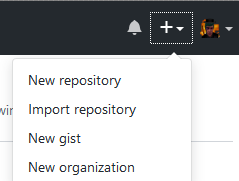 (If you're not aware, a Github organization is 100% free, and can be easily created by clicking the + icon at the top right of any Github page and clicking 'New organization'). Last edited by mcmonkey on Wed May 10, 2017 2:30 am, edited 1 time in total. Oh and I should note, you can move the repo to the alternate namespace via the repo settings, and it will retain a redirection link for anything that links to the old namespace, as well as retaining all attached data (Stars, issues, etc.) without issue, so long as you don't replace the original repo slot with an alternate repo! That's probably wise. I'll fill out the rest tomorrow. Should be set up. Let me know if you find something I forgot to update.